Happy New Beer !!!! A brand, spanking, new year and there’s all sorts of good stuff going on down Brit Grit Alley. If you’re interested in honing your crimewriting skills, for example, you could do worse than signing up for Crime & Publishment. It’s a three day crime writing workshop organised by writer Graham Smith. It takes places in Scotland at the start of March and the top writers involved include Matt Hilton, Sheila Quigley and Allan Guthrie. More information here. 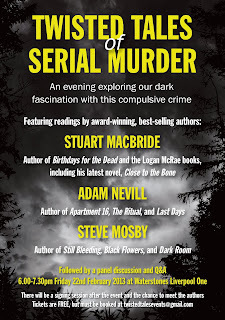 And you could also head over to Liverpool for Twisted Tales Of Serial Murder, which takes place in February. 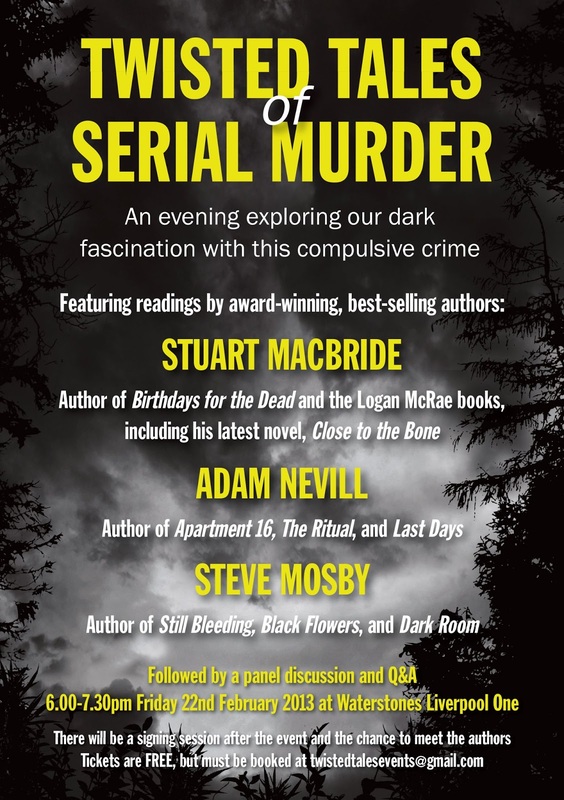 Steve Mosby, Stuart MacBride and Adam Nevill are all lined up to do readings and Q& As. There are lots of new Brit Grit books out and about, too. Hartlepool writer Andrew Bell has a new novel coming out soon. Ephemara looks to be a real chiller. The Final Countdown, the third part of Sheila Quigley’s Holy Island trilogy, is out now in hardback. The US hardcover and the UK/worldwide trade paperback versions of Zoe Sharp’s DIE EASY: Charlie Fox book ten are now out. Richard Godwin’s second Paris Tongue novelette TheEdge Of Desire has been translated into Italian as Il Confini Del Desiderio. Matt Hilton has published a short story collection One Twisted Voice. It includes the story Booze and Ooze, which was previously included in Drunk On The Moon2. And over at my blog, Jason Michel interviews the grittiest writer of them all, U V Ray, whose novel We Are Glass will be published this month by Murder Slim Press.